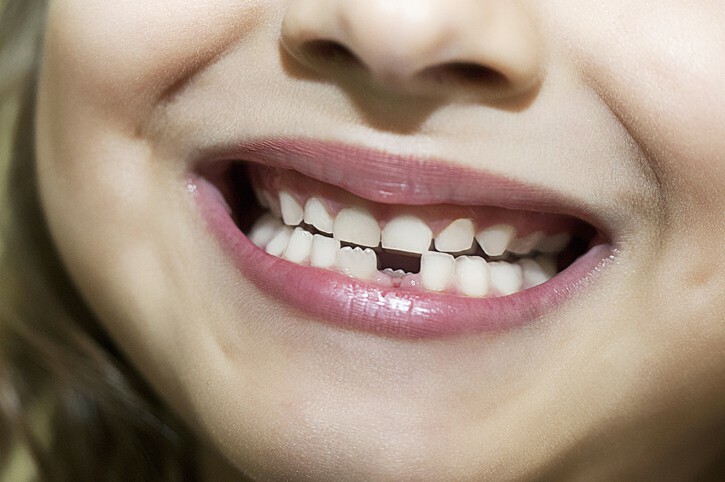 Researchers in China have shown that a very common childhood tooth condition can be fixed by regenerating dental tissue with stem cells from baby teeth. The team transplanted stem cells from baby teeth into injured teeth of children and discovered that it was able to regenerate dental pulp in the injured tooth. Impressively, the regenerative dental pulp had all the structure of normal dental pulp, including blood vessels and sensory nerves. Results were published in Science Translational Medicine in August 2018. Normally, dental injuries in developing teeth can result in the death of the dental pulp which leads to permanent tooth loss. The dental pulp contains all the blood vessels and nerves, so when it becomes damaged normal development stops. This regularly leads to the loss of blood flow to the tooth and ultimately a dead tooth. The conventional treatment currently involves apexification. This is a method of creating a calcified barrier at the injury point to encourage root canal growth in non-vital tooth with incomplete root formation. The advantages of stem cell therapies to allow regenerative growth is an exciting avenue of technology. It is worth noting that the patients that received the stem cell treatments grew teeth that were strong, and also regained sensation in the damaged tooth. The treatment involved taking stem cells from baby teeth and growing them further in a laboratory setting before implantation in the damaged tooth. The control group in the study had root canals and apexification performed and did not regain any sensation in the affected tooth. Eventually, we could see developments where stem cells that are banked early in life can be used in adults who have damaged their permanent teeth. While children are able to get a second chance if their baby teeth are affected, adults that have experienced damage to their permanent teeth often lose them. Approximately 130 million Americans have lost at least one permanent tooth, and 40 million have lost all their teeth. This trial gives an exciting avenue for not only stem cell therapies, but could pave the way for new future restorative dental and medical treatments.